Smoke Detector offered comes designed and developed using latest technology support and can be made available in ceiling or wall mounting options. 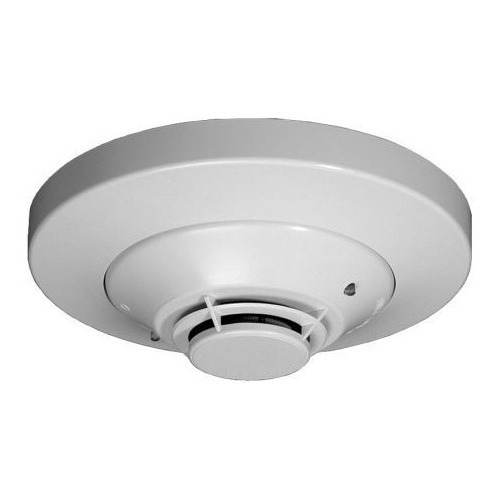 Further, these smoke detectors are also easy to install as well as come supported by needed mounting hardware as per the requirements. These feature use of DC 9V battery and are suitable for use in any rooms. Incorporated in the year 2009, Startech Fire Systems is a renowned and highly reputed companies engaged in manufacturing and trading a world class assortment of Sprinkler Head, Fire Hydrant System, Fire Alarm, Fire Extinguisher, Smoke Detector and many more. to our customers. Acknowledged for their fine finish, efficiency, reliability and longer working life, our offered assortment of products are manufactured in tune with the latest market trends and quality guidelines. All their attributes and features make these products highly demanded and recommended by our customers spread all over the country. Under this categorization, we are providing a huge array of products which includes Concealed Sprinkler, Recessed Sprinkler, Conventional Sprinkler, Pendent Sprinkler, Smoke Detector, Water Type Fire Extinguisher, Modular Type Fire Extinguisher. Utilizing premium quality raw material and highly sophisticated tools and machinery, we design and develop these products at our highly facilitated manufacturing unit. Moreover, the entire assortment of products is examined on well defined quality norms to provide defect free products to our customers.